Engage your audience – anywhere. Want to send personalized messages that arrive at exactly the right time on the right channel — and drive deeper audience engagement, views and subscriptions? We thought so. Our Customer Engagement Platform gives you the precision, speed and smarts to create experiences that feel magical. Meet your audience where they’re at: our open platform makes it easy to reach them on any channel or device — phone, laptop, tablet, car, smart home speaker and more. That’s what omnichannel is all about. Cross-channel messaging — with speed, at scale — isn’t easy. Our Platform gives you the power to create a truly delightful, highly personalized omnichannel experience that drives engagement, subscriptions and revenue. 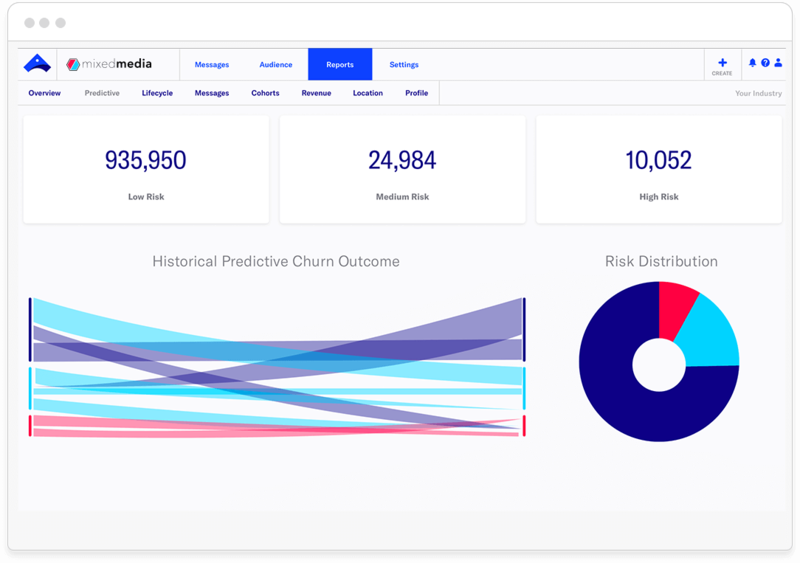 Deepen your understanding of your audience with analytics tools (built for marketers) that reveal who is most likely to churn, what content is most engaging, and which cohorts drive the most value for your brand. Reaching our audience in real-time, or at the right time, across our channels is a key area of focus. Not only does Airship help us deliver on the real-time nature of news in the digital era, it helps us deepen engagement with our audiences. Learn more about how we help media companies grow. See our latest thinking on customer engagement for media companies. See how top media companies are using our Customer Engagement Platform to succeed – and how you can too.